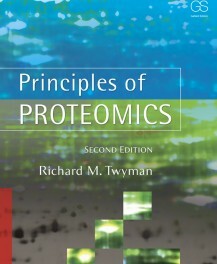 Book cover design variations for the title Principles of Proteomics, Second Edition by Richard M. Twyman for Garland Science a Division of London based publisher Taylor & Francis. 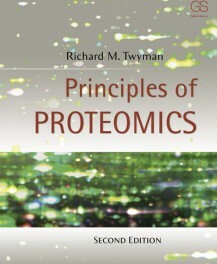 My approach was to diminish the overall darkness of the spotted green graphic that author provided for cover use. 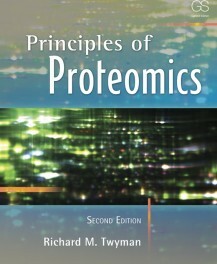 Eliminating most of the black background and over enhancing the effect of horizontal movement and highlighting the unique spotting achieved the desired look with a crisp type treatment. The top cover was the winner in this event. 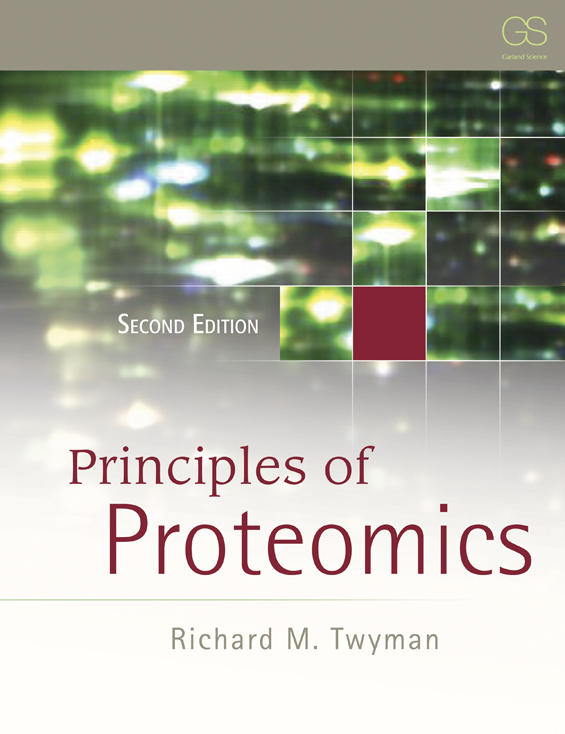 Proteomics is the large-scale study of proteins, particularly their structures and functions. 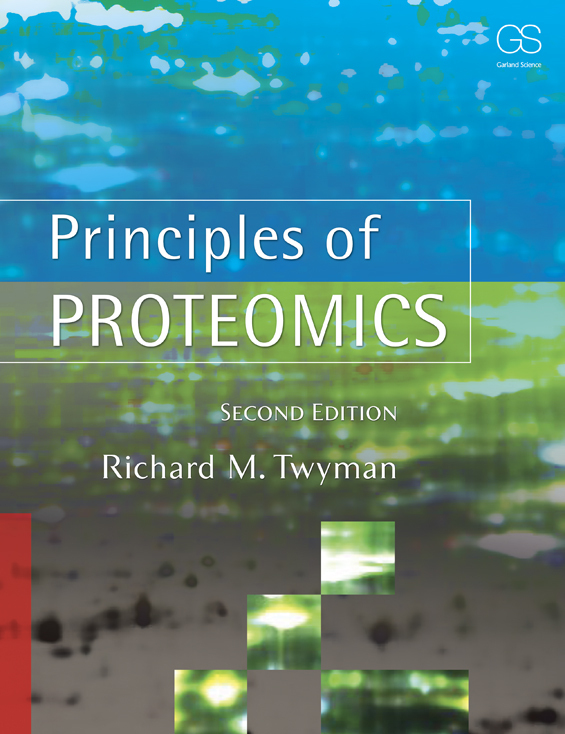 Proteins are vital parts of living organisms, as they are the main components of the physiological metabolic pathways of cells. 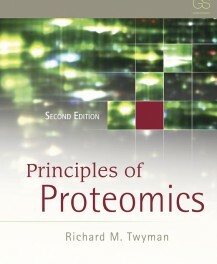 The term proteomics was first coined in 1997 to make an analogy with genomics, the study of the genes. 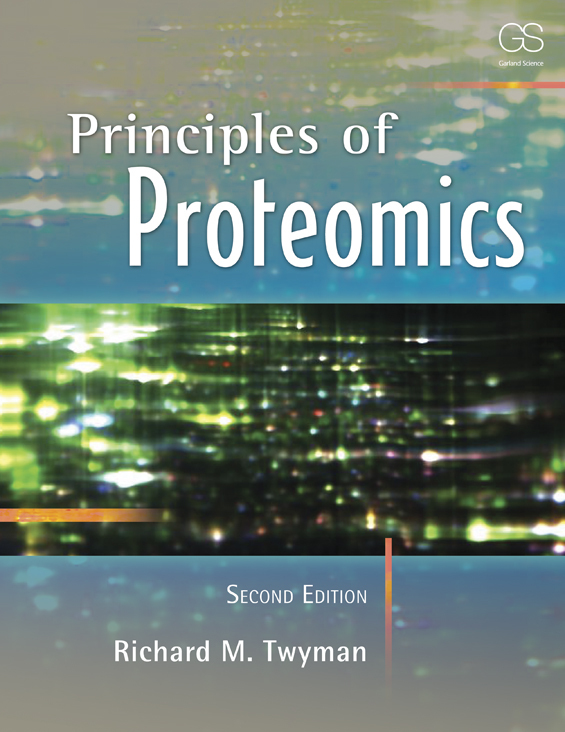 The word proteome is a blend of protein and genome, and was coined by Marc Wilkins in 1994 while working on the concept as a PhD student. 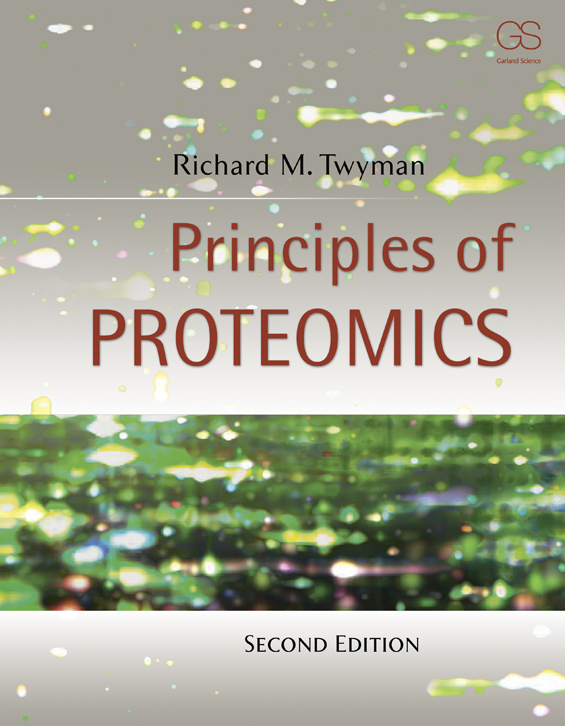 The proteome is the entire complement of proteins, including the modifications made to a particular set of proteins, produced by an organism or system.